Tiger Woods played his first stretch of golf holes since last August on Monday at a course opening in Montgomery, Texas to fuel speculations that he could return soon. Woods was present for the opening of Bluejack National Golf Course, which he helped design. The former world number one warmed up in front of a crowd, hit a ceremonial tee shot and then played a few holes with longtime friend and fellow Major champion Mark O'Meara. "I haven't been out here playing like this. I hadn't played any holes until today," Woods told reporters. "I know people have said I've played holes back at Medalist, but I haven't. This is actually the first time I've played holes since Wyndham. It's been a while." Woods, 40, last competed at the Wyndham Championship in North Carolina last August before back surgeries ended his year. Woods' world ranking has plummeted to 499 and earlier this month he missed the Masters for only the second time since his tournament debut in 1995. Multiple videos of the 14-times Major champion hitting golf balls have surfaced this year and Monday's short round showed further improvement. "I'm just progressing," he said. "You saw how I was going at it today, nice and smooth. That's harder than I have been going at it the last month. Just gradually progressing. We're just trying to progress and I'm doing that." 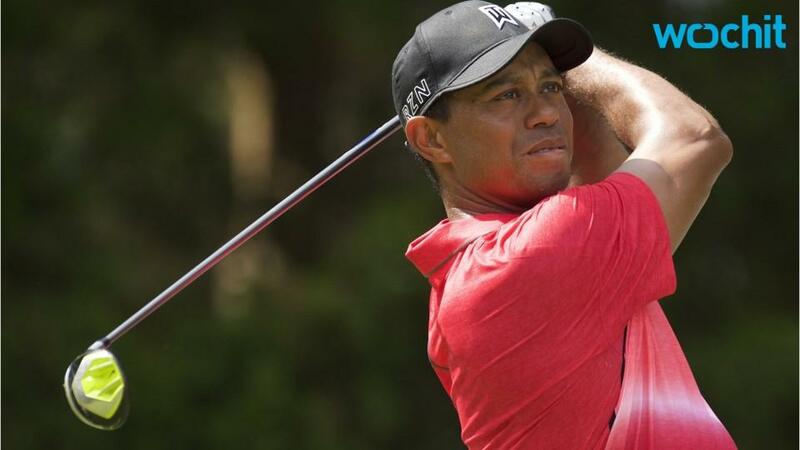 The Golf Channel reported that Woods could compete at the Wells Fargo Championship early next month but Woods and his team have maintained there is no planned return date.